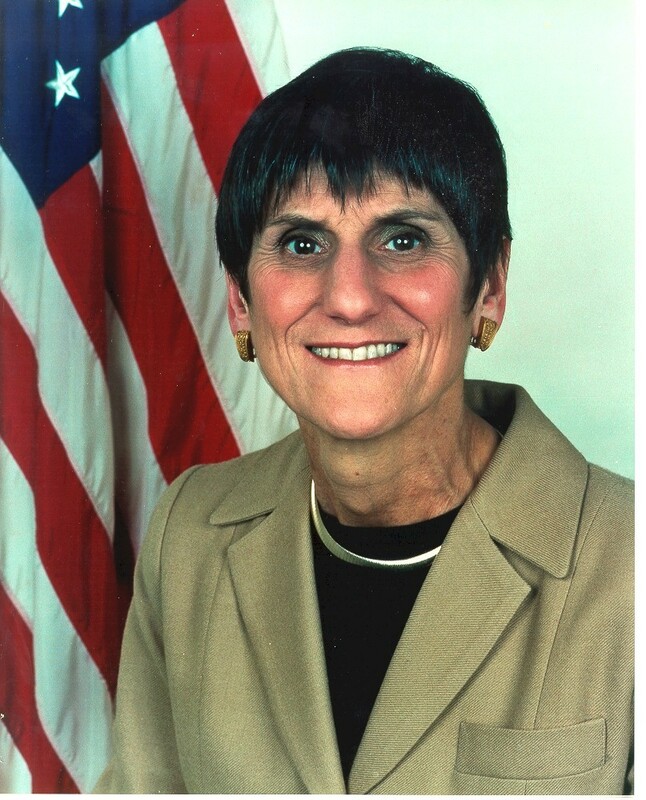 Rosa DeLauro is the Congresswoman from Connecticut’s Third Congressional District, which stretches from the Long Island Sound and New Haven, to the Naugatuck Valley and Waterbury. Rosa serves in the Democratic leadership as Co-Chair of the Democratic Steering and Policy Committee, and she is the Ranking Member on the Labor, Health and Human Services, and Education Appropriations Subcommittee, where she oversees our nation’s investments in education, health, and employment. Rosa also serves on the subcommittee responsible for the U.S. Department of Agriculture and the U.S. Food and Drug Administration, where she oversees food and drug safety. At the core of Rosa’s work is her fight for America’s working families. Rosa believes that we must raise the nation’s minimum wage, give all employees access to paid sick days, allow employees to take paid family and medical leave, and ensure equal pay for equal work. Every day, Rosa fights for legislation that would give all working families an opportunity to succeed. Rosa believes that our first priority must be to strengthen the economy and create good middle class jobs. She supports tax cuts for working and middle class families, fought to expand the Child Tax Credit to provide tax relief to millions of families, and introduced the Young Child Tax Credit to give families with young children an economic lift. Rosa has also fought to stop trade agreements that lower wages and ships jobs overseas, while also protecting the rights of employees and unions. She believes that we need to grow our economy by making smart innovative investments in our infrastructure, which is why she introduced legislation to create a National Infrastructure bank. Rosa is a leader in fighting to improve and expand federal support for child nutrition and for modernizing our food safety system. She believes that the U.S. should have one agency assigned the responsibility for food safety, rather than the 15 different agencies that lay claim to different parts of our food system. Rosa fights against special interests, like tobacco and e-cigarettes, which seek to skirt our public health and safety rules. As the Ranking Member dealing with appropriations for Labor, Health, Human Services, and Education, Rosa is determined to increase support for education and make college more affordable for more American students and their families. She is also fighting to protect the Affordable Care Act so that all Americans have access to affordable care. Rosa strongly believes in the power of biomedical research and she is working to increase funding so that we can make lifesaving breakthroughs in science and medicine. Rosa believes that we have a moral obligation to our nation’s veterans and their families, and her concern for these heroes extends to both their physical and mental well-being. Rosa supports a transformation in how the Department of Veterans Affairs is funded, including advanced appropriations for health services, to ensure its fiscal soundness; and she successfully championed legislation to guarantee that troops deploying to combat theaters get the mental health screening they need both before and after deployment, as well as championed legislation that now provides assistance to today’s Post-9/11 veterans choosing to pursue on-the-job training and apprenticeship programs. Rosa belongs to 62 House caucus groups and is the co-chair of the Baby Caucus, the Long Island Sound Caucus, and the Food Safety Caucus. Soon after earning degrees from Marymount College and Columbia University, Rosa followed her parents’ footsteps into public service, serving as the first Executive Director of EMILY's List, a national organization dedicated to increasing the number of women in elected office; Executive Director of Countdown '87, the national campaign that successfully stopped U.S. military aid to the Nicaraguan Contras; and as Chief of Staff to U.S. Senator Christopher Dodd. In 1990, Rosa was elected to the House of Representatives, and she has served as the Congresswoman from Connecticut’s Third Congressional District ever since. Rosa is married to Stanley Greenberg, President of Greenberg Quinlan Rosner, a public issues research firm. Their children—Anna, Kathryn, and Jonathan Greenberg—all are grown and pursuing careers. Rosa and Stan have six grandchildren, Rigby, Teo, Sadie, Jasper, Paola and Gus.